Crusader and Feminist: Letters of Jane Grey Swisshelm, 1858-1865, edited with an introduction and notes by Arthur J. Larsen. St. Paul, Minn.: Minnesota Historical Society, 1934. Photocopies of newspaper clippings, legal documents, and correspondence (1840-1894) from various archival repositories relating to journalist, newspaper publisher, abolitionist, and women's rights advocate Jane Grey Swisshelm, as well as a card file calendar containing information about newspapers published by Swisshelm or with which she was associated in St. Cloud, Minnesota, Pittsburgh, and Washington, D.C. The material was compiled by historian Sylvia D. Hoffert in the course of researching her biography Jane Grey Swisshelm: an unconventional life (2004). This archival collection (1858-1863, 1902-1909) contains letters commenting on state politics, Jane Grey Swisshelm, and family business. Correspondence, news clippings, land records, and other papers documenting the activities of Mitchell, editor of the St. Cloud (Minn.) Journal-Press, and members of his family. There are letters, land records, and legal papers of the related Mitchell, Swisshelm, and Cannon families. 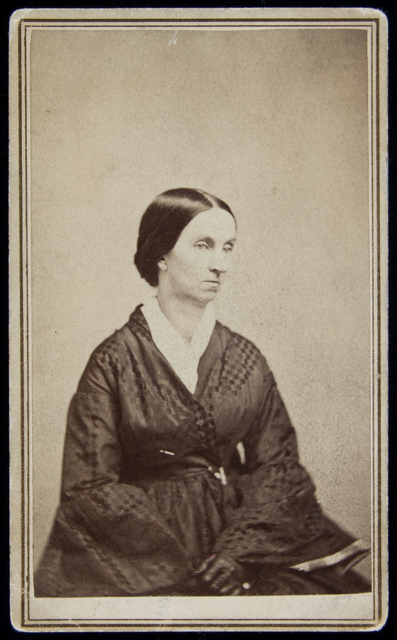 Includes correspondence of Mitchell's aunt, Jane Grey Swisshelm (1860s-1880s), and papers relating to her work on the St. Cloud Democrat (1860s-1870s) and to her autobiography entitled Half a Century (Chicago, 1880). Half a Century, by Jane Grey Swisshelm. Chicago: Jansen, McClurg & Company, 1880.
Letters to Country Girls, by Jane Grey Swisshelm. New York: J.C. Riker, 1853.